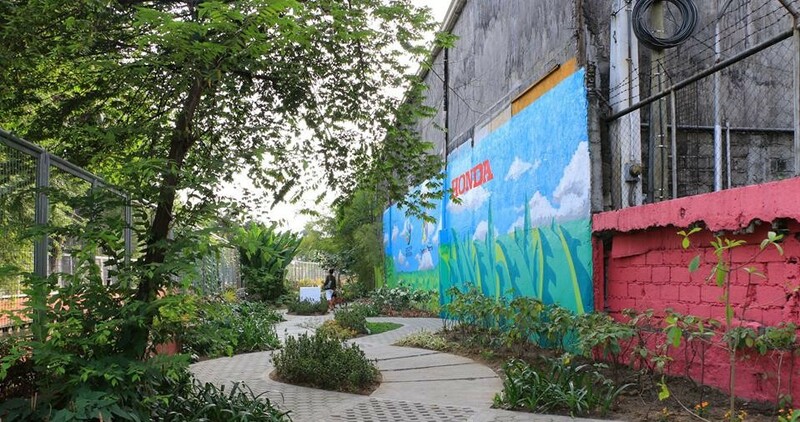 Kapit Bisig Para sa Ilog Pasig, together with Honda Foundation, Inc. and Pasig River Rehabilitation Commission, recently inaugurated a 30-meter linear park near Estero de Pandacan. HFI funded the construction of the linear park which includes a mural done by Mark Anthony Torres, a former River Warrior. The new linear park near Estero de Pandacan. Riza Quinto, Executive Director of Honda Foundation, Inc., expressed, "As you know, in Japan (where Honda's head office is), napaka linis talaga and we would like it to be like that. I think helping this area is a big help for the community and organization." "This is a first time and we hope that there would be more projects in the future," she added. Under the partnership, KBPIP and PRRC will conduct eco-waste management and information, education, communication materials to the community to sustain Estero de Pandacan. On the other hand, the linear park was also turned over to the local government of Brgy. 832, City of Manila. The barangay is expected to maintain the cleanliness of the linear park together with Estero de Pandacan. Kapit Bisig Para sa Ilog Pasig is the river rehabilitation arm of ALKFI-Bantay Kalikasan.